Different types of tools and raw materials are used. The raw materials are easily available in home only and are very cheap. 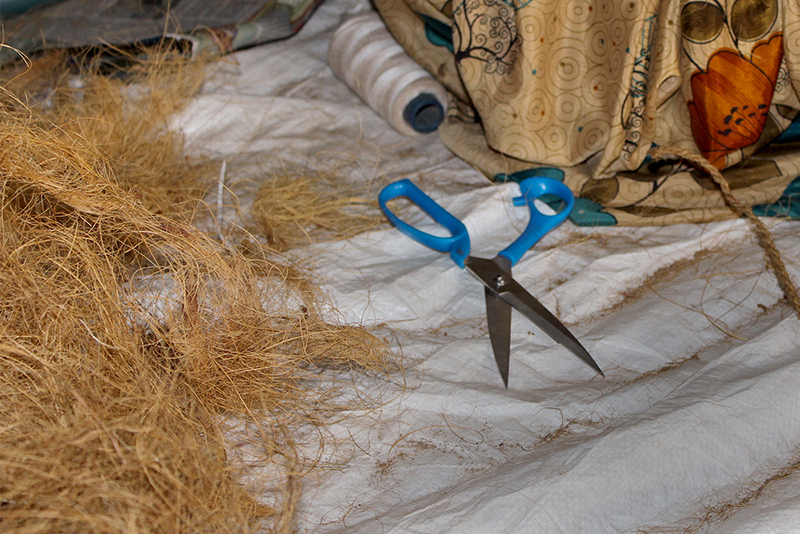 The following are the tools and raw materials used for nest making. • Coconut Fibre: The main raw material. These is obtained by extracting the husk of the inner side of the coconut. • Paper: Raw material is used as base material for making the nest shape. 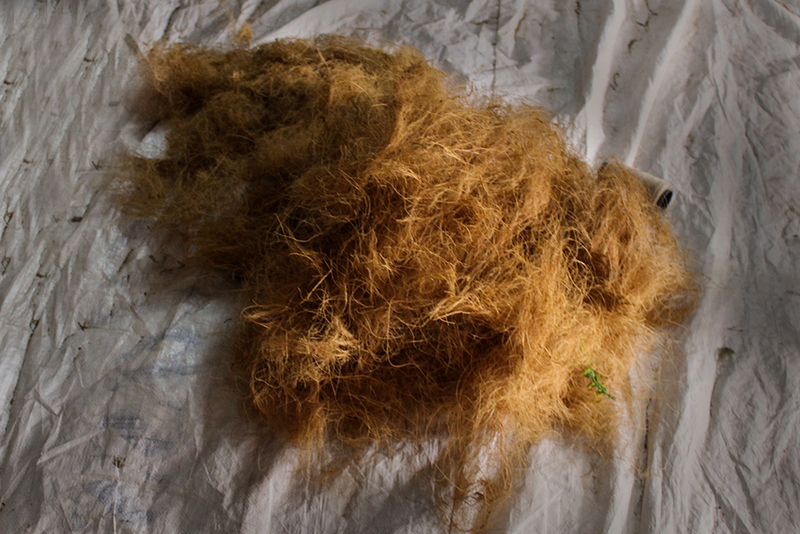 • Cone: Using cone the nest parts are made by warping the coir around the cone and then removed. • Cotton Thread: It is used to warp the products made of coir fibre. Cotton thread helps the product to take a definite and stable form. 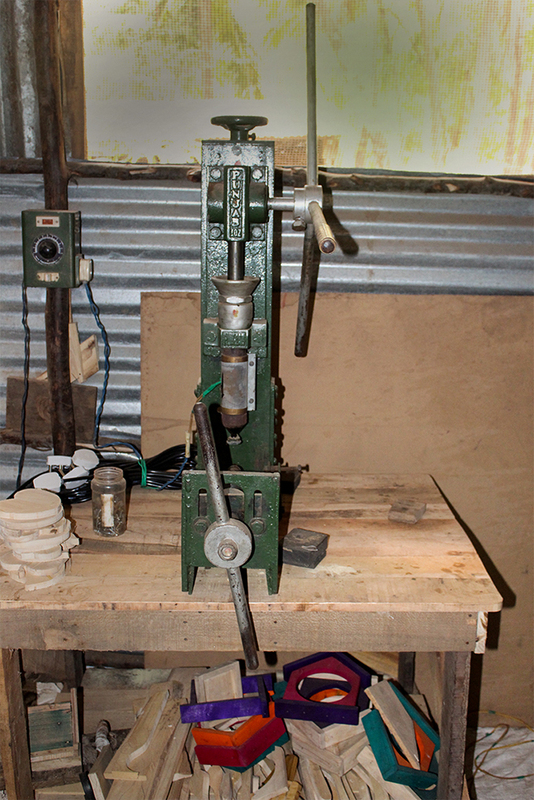 • Bench Drilling Machine: The machine used to extract the coir from the coconut.